There are many reasons a person might want a medical alert system – as people age, the possibility of falling becomes more and more dangerous, and even getting up to get help might be impossible. However, medical alert systems aren’t designed just to get help in the case of a fall, they work for any type of accident or medical emergency at home or sometimes outside. • Landline - obviously, a landline-based system requires a landline, which not everyone has, and the system can only be used within a certain radius from the base, usually around 500 to 1,000 feet. • Cellular – these systems have the advantage of unlimited distance, meaning you can take your device with you pretty much everywhere and still have access to a call center. However, you have to make sure the cell phone reception is available in your area for it to work. • Mobile – apps are a great way for users, caregivers, and the medical alert service to stay in contact. It often has other features to help you manage medication or track your fitness, too. However, this type relies on your cell phone, which means it may need to be charged more often, and requires good cell phone signals to work properly. One system isn’t necessarily better than the other. It just depends on your lifestyle, and what you have available in your area or home. If you have a large home, for example, you might need much more than 500 feet. Of course, before choosing a system, you have to consider the upfront and ongoing costs. Most companies offer a variety of plans to accommodate their customers. Some offer simple plans that allow you to pay for just a month, and most offer quarterly, semi-annually, and annual plans. Depending on the services and features you choose, a monthly plan could cost anywhere between around $20 to up to $60 a month. Another factor to consider aside from the monthly costs is upfront costs. Some providers require you to buy the devices, which can quickly add to your bill. However, many others will give the equipment to you for free. While the upfront and monthly costs might be clearly advertised, other fees aren’t. Some companies charge activation fees, installation fees, and cancellation fees. Other companies won’t charge cancelation fees, necessarily, but will make you pay for the remainder of the contract. You should also check to see whether the company will pay for shipping. Before signing up for a system, also check to see if they have automatic renewal, so you don’t accidentally get sucked into the plan again when you thought it would just end once the time you paid for is up. In many cases, you can get a 30-day free trial to see how you like the equipment, which might be a good option if you aren’t sure about the alert system. Make sure that the company you choose has quality, trained responders and a call center that is certified by Underwriter Laboratories (UL). This will ensure it meets all the safety requirements and is up to standard. It’s usually a good sign when companies manage their own call centers as well. Some outsource the service to a third party, which can reduce the control and quality of the responders. Most medical alert systems will call a list of emergency contacts (whether friends, family or caregivers) in the event of an emergency, and can call 911 as well. Check to see how many people the service you’re considering allow you to add to the list, so no one gets left out. Some call centers are also able to connect you with registered nurses and doctors as well. Almost every system offers landline and cellular home bases, as well as a GPS option that will provide help to you when you are away from home. Others do away with the base altogether and just use the mobile applications and GPS. Aside from these basic features, there are many others that might be offered with your plan. • Fall detection – this comes in the form of a pendant, which you can usually wear around the wrist or as a necklace. Some are waterproof, which is good to use in the shower or bath where falls are more likely, but others aren’t. • Check-ins – some companies will call you to check in with you as often as you’d like, others have limits on the number of times they call a day or month. Some companies don’t call, but ask you to press a button on your base or device at scheduled times as a way of checking in. • Medication reminders – if you aren’t good at remembering to take medication, this might be a helpful option. • Two-way speaker – most systems and even pendants have a two-way speaker that allows you to easily communicate with the responders. • Mobile apps to alert caregivers – if you have a mobile option, they usually allow caregivers to download an app and receive alerts when the emergency buttons are activated, which allows for instant updates. Medical alert systems should come with a backup battery in case there’s a power outage. Some last longer than others, but 32 hours of backup battery is pretty standard. How long a device can go before recharging may also be important. Some devices can last all day while others require frequent recharging. How good you are about remembering to charge your device, and how long it lasts, may be an important factor in which medical alert system you choose. Medical alert systems can help many people live safer and more active lifestyles while expanding their independence. 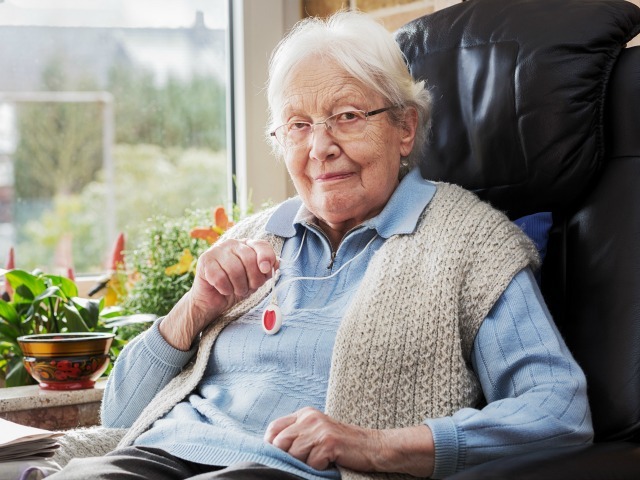 If you live alone and are at risk of falling or have health issues, then investing in a medical alert system is a good idea. Knowing a trained responder is always there, ready to help or advise, can improve your peace of mind, and that of your loved ones.